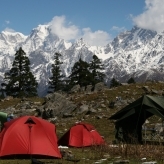 Trekking the Himalayas in India in October means the festival season is in full swing and the country is brimming with activity! Diwali (the Hindu festival of light) is India’s biggest and most important holiday celebrating the victory of good over evil and light over darkness. 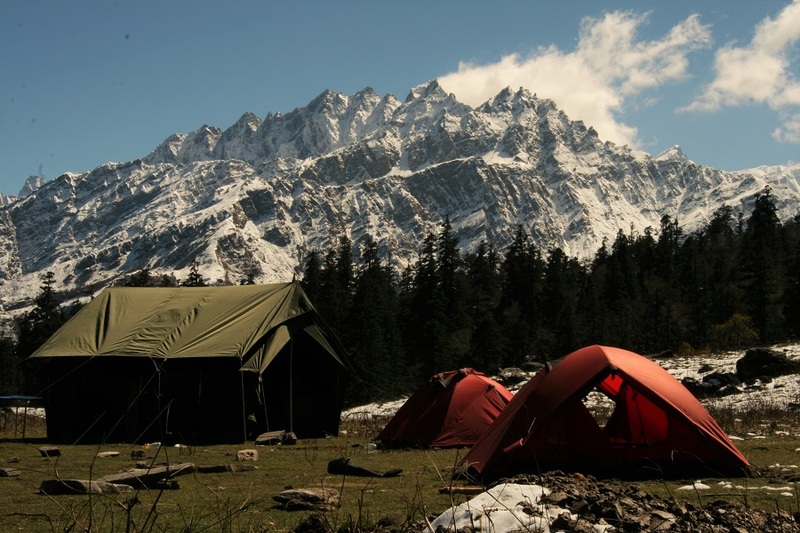 Our 13 day expedition includes six days of trekking the Indian Himalayas in warm weather, with amazing scenery and plenty of time to completely immerse yourself in Indian culture. 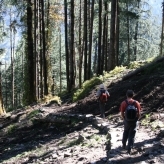 On this trek you have the opportunity to practice yoga, preparing your mind and body for the journey. You may also join our talented cooks in the kitchen tent to learn how to cook authentic North Indian cuisine. 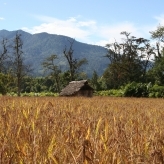 Each day on the trek offers a new and exciting perspective as we pass through some beautiful hamlets, flower-filled pastures, mixed forest, waterfalls and streams. 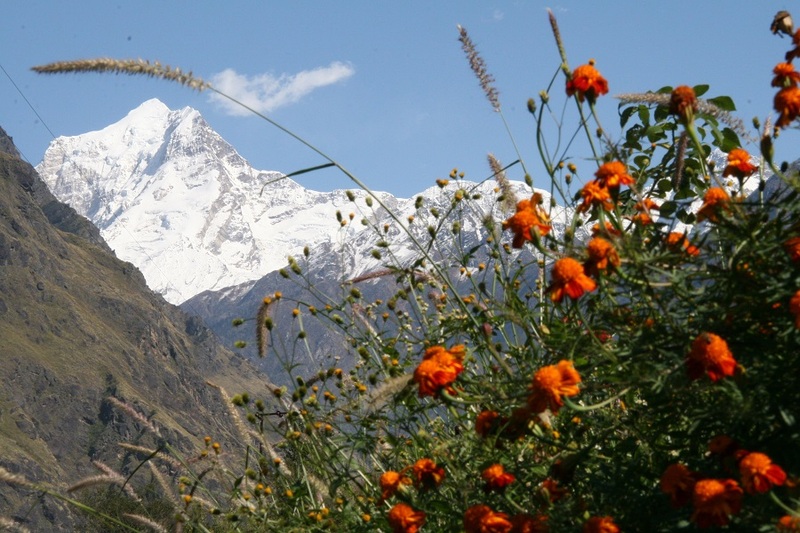 One of the highlights of this route is reaching the Kuari Pass (3,840m)- where we will be rewarded by what is said to be the “Best mountain vista in the Himalayas”. 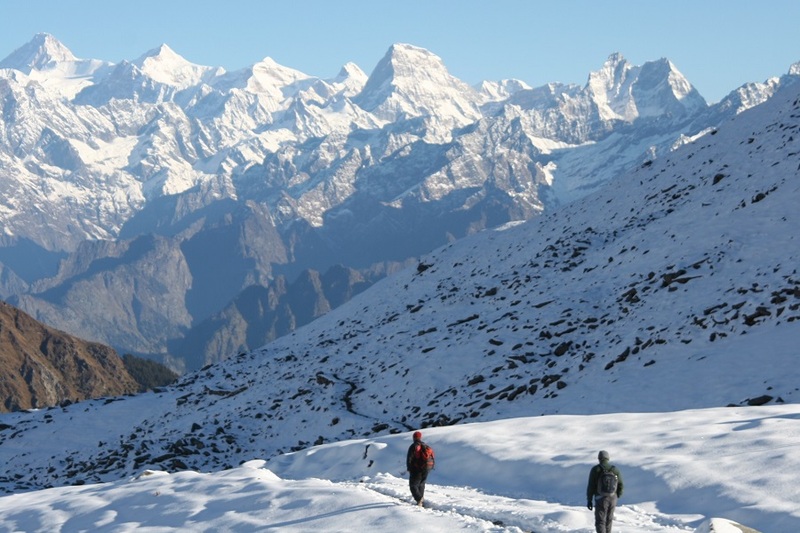 Your eyes will be drawn to the sweeping arc created by the incredible line-up of giant peaks: Chaukhamba (7,140m), Nilkantha (6,597m), Kamet (7,756m), Gauri Parbat (6,708m), Nanda Devi (7,817m), Bethartoli (6,352m) and Dunagiri (7,066m). 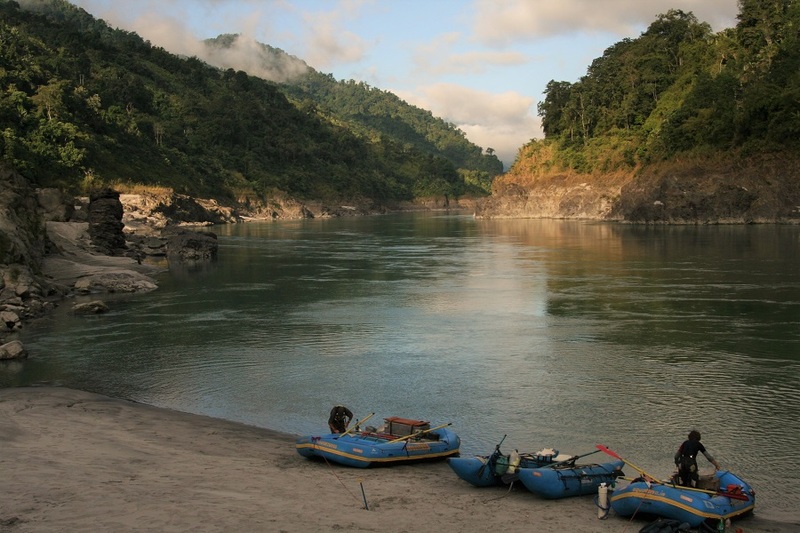 Our trek takes place near the source of the Ganges, a river with vast religious and cultural significance in India. Bathing in its waters is said to wash away not just physical impurities but symbolic ones as well. We can put this theory to the test when we go white-water rafting! 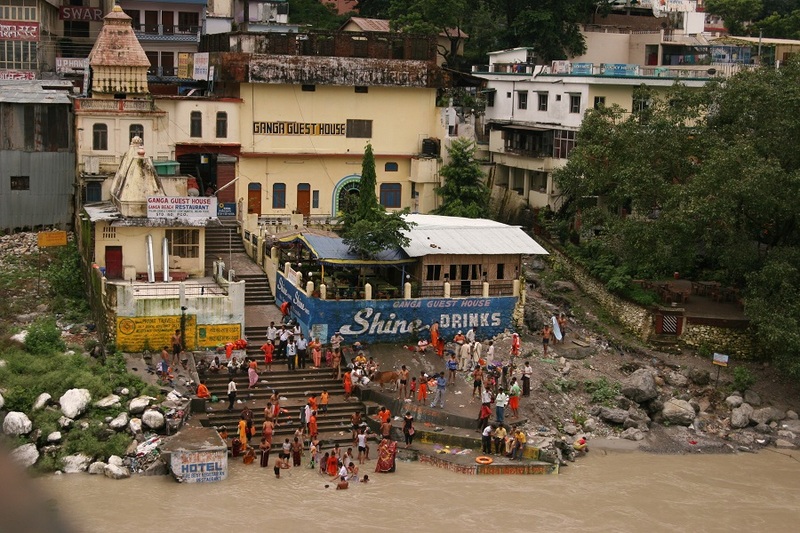 We also have time to explore Rishikesh, renowned as a centre for studying yoga and meditation. It is to this “Yoga Capital of the World” that the Beatles travelled in 1968 leading to one of their most productive periods. It is also now a modern hub of amazing adventure sports. 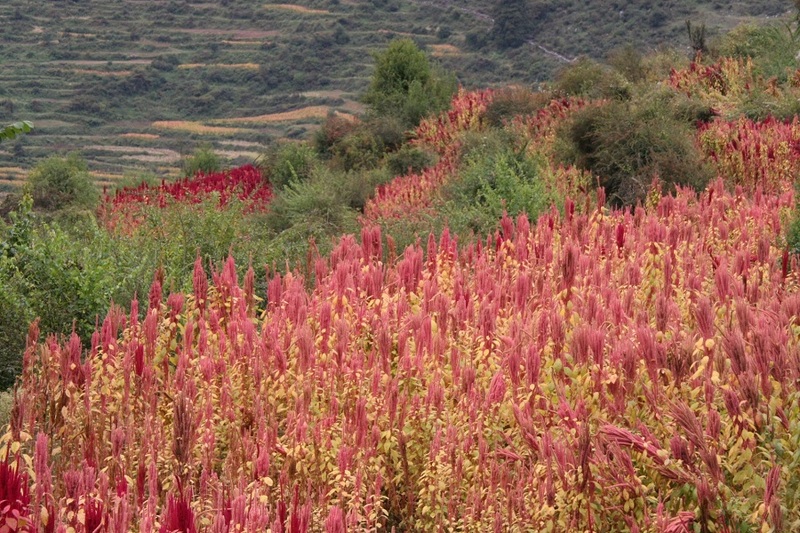 You will get the opportunity to meet plenty of friendly locals and learn about Himalayan culture throughout the trip as you pass villages and animal herders in nearly every valley. 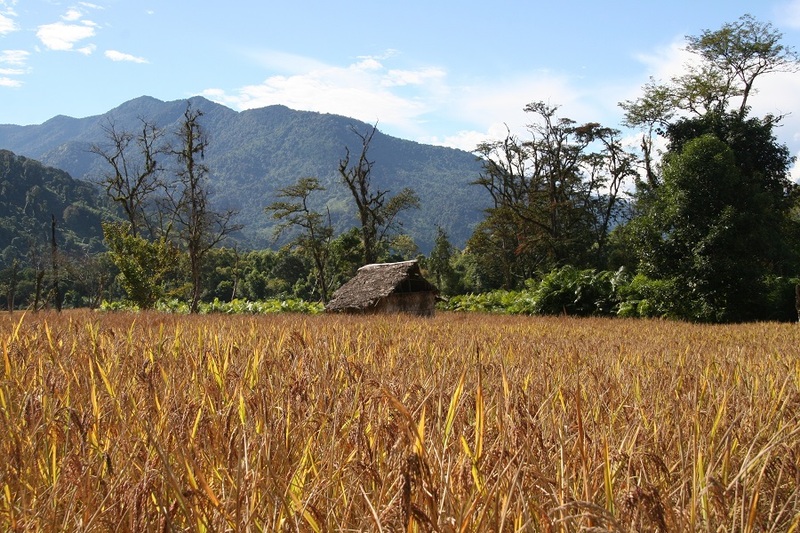 Our packages are inclusive of a pre-departure weekend, flights from Dublin, in-country transport, a full local guiding & support team, accommodation, all meals on the trek, trekking permits, a celebratory meal & an Earth's Edge bandana. 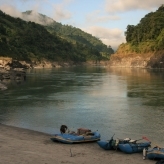 Our 13 day itinerary includes six days trekking, one day of rafting & time to explore Rishikesh. 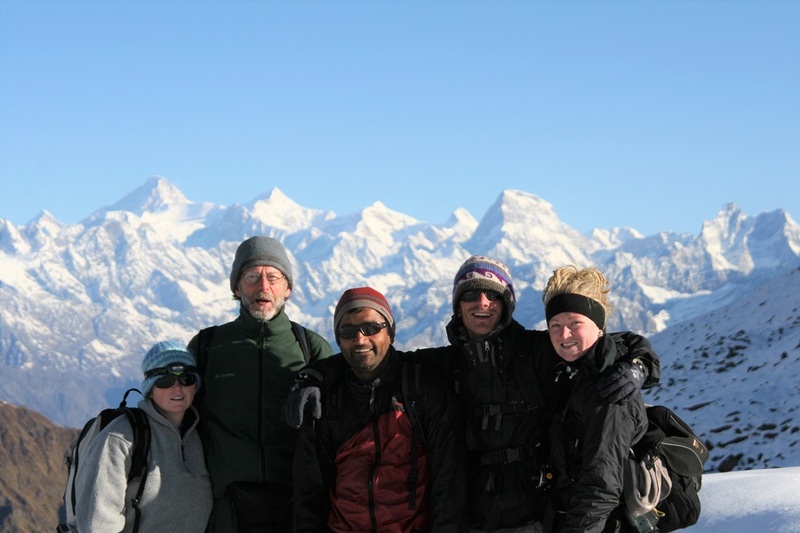 Pre-Departure weekend – Meet an Earth's Edge expedition leader, an Earth's Edge expedition doctor and your fellow trekkers two months before departure. Our pre-departure weekend consists of a full brief and two hikes in Glendalough, Co. Wicklow. Day 1: Dublin to Delhi. Depart Dublin on an overnight flight to Delhi. Day 2: Delhi to Rishikesh (330m). Arrive in Delhi in the early morning and take the train to Rishikesh. Day 3: Rishikesh to Ghat (1,330m). Drive from Rishikesh to Ghat. Day 4: Ghat to Ghunni (2,550m), 6 hrs trekking. 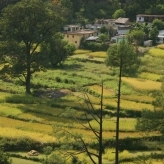 Trek from Ghat to Ghunni. 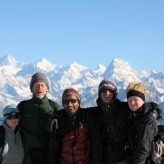 Day 5: Ghunni to Sem Kharak (2,400m), 6 hrs trekking. 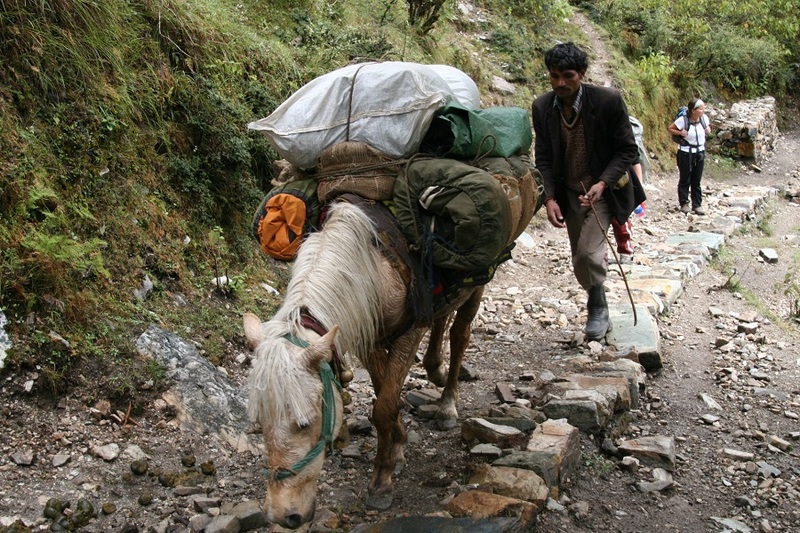 Trek from Ghunni to Sem Kharak. 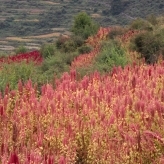 Day 6: Sem Kharak to Pana (2,450m), 7-8 hrs trekking. 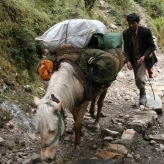 Trek from Sem Kharak to Pana. 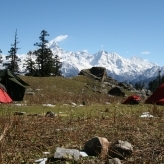 Day 7: Pana to Dhakwani (3,341m), 8 hrs trekking. 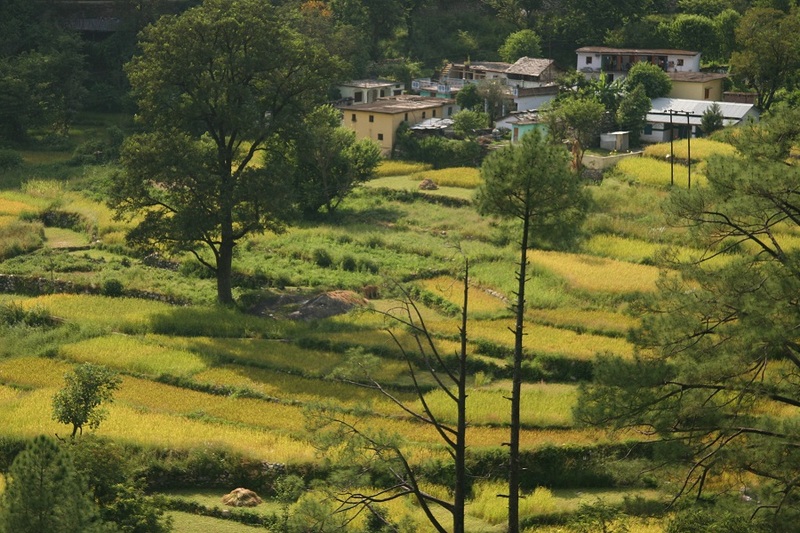 Trek from Pana to Dhakwani. 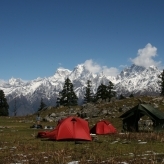 Day 8: Dhakwani to Kuari Pass (3,840 m) to Khulara (3,180 m), 6-7 hrs trekking. 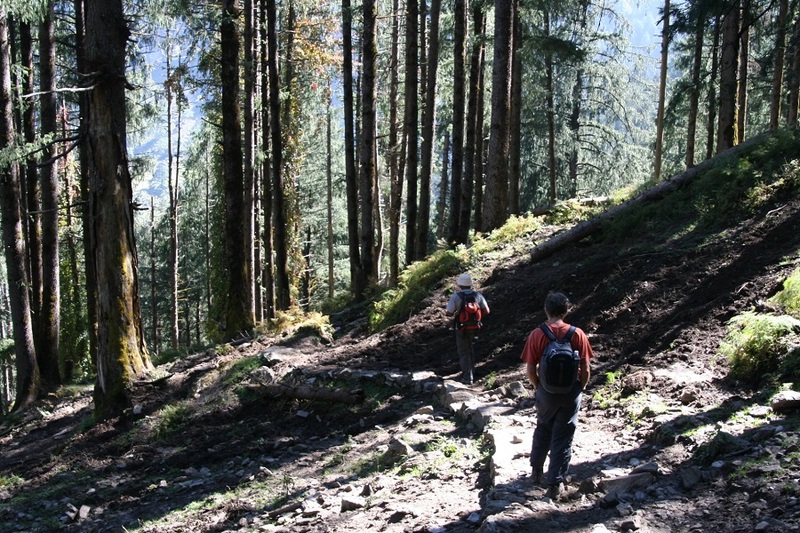 Trek from Dhakwani over the Kuari Pass to reach Khulara. Day 9: Khulara to Pipalkoti (1,330m), 4 hrs trekking. Trek to Tapovan and then drive to Pipalkoti. Day 10: Pipalkoti to Rishikesh. Long drive to Rishikesh to reach our river camp. Rafting trip on the Ganges followed by some exploring around Rishikesh. 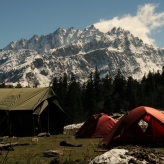 Relax in the morning or do a high ropes course and then take the evening train to Delhi. Day 13: Delhi to Dublin. Depart Delhi in the early morning and arrive back in Dublin in the early afternoon. €399 deposit at the time of booking & €2,700 balance payment at least two months prior to departure – Total €3,099. Read our best price guarantee. 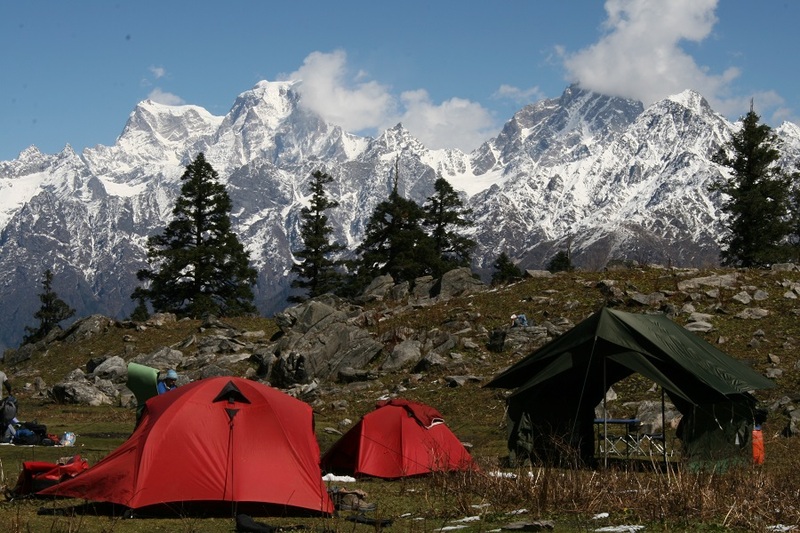 Costs include; Pre-departure weekend, international flights to Delhi, an expedition leader & doctor travelling with the group from Dublin, all transport in India, all meals on the trek, all accommodation based on twin sharing in hotels & camping, local support team & an Earth’s Edge bandanna. **Prices were set on November 13th, 2018. 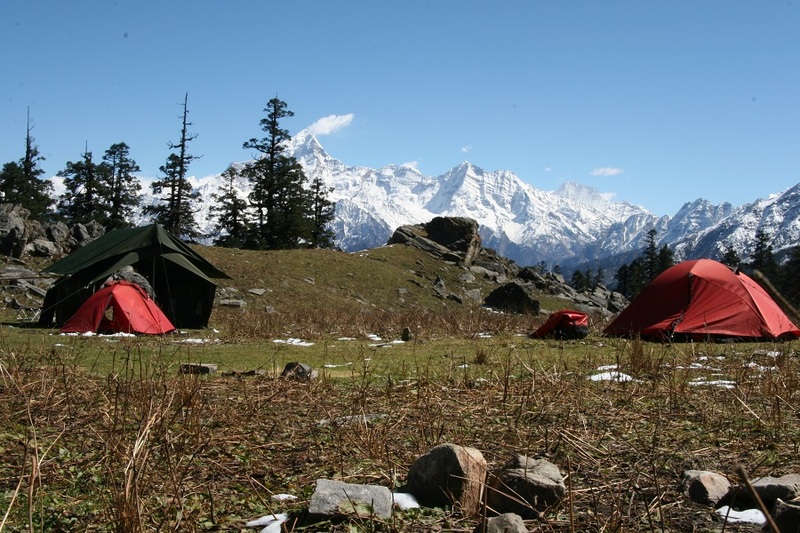 The Indian Himalaya region spans the states of Jammu & Kashmir, Himachal Pradesh, Uttarakhand, Sikkim, Arunachal Pradesh as well as the hill region of two states; Assam and West Bengal. 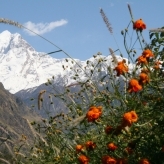 The name Himalaya comes from Sanskrit – “hima” meaning snow and “alaya” meaning abode. The ‘home of the snow’. Diwali is the Hindu festival of lights. Lamps are lit as a sign of celebration and hope, symbolising the victory of good over evil, light over darkness, knowledge over ignorance and hope over despair. Before Diwali night, which falls on the third night of the five-day festival, people clean, renovate and decorate their homes and offices anew. Lakshmi, the Goddess of wealth, fortune and prosperity, is believed to wander the earth on Diwali night and doors and windows are left open to welcome her inside. Some of the route we follow through the Himalayas and to the Kuari pass was that trekked by Eric Shipton and Bill Tilman in the 1930s. These two celebrated mountaineers were heavily involved with the reconnaissance missions on Mount Everest which paved the way for the successful summit attempt of Edmund Hillary and Tenzing Norgay in 1953. 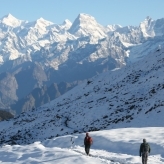 Shipton and Tilman famously discovered the access route to the Nanda Devi sanctuary in 1934. Nanda Devi (7,816m) is one of the mountains to be seen from the Kuari Pass and is the second highest mountain in India, the highest located entirely within the country. 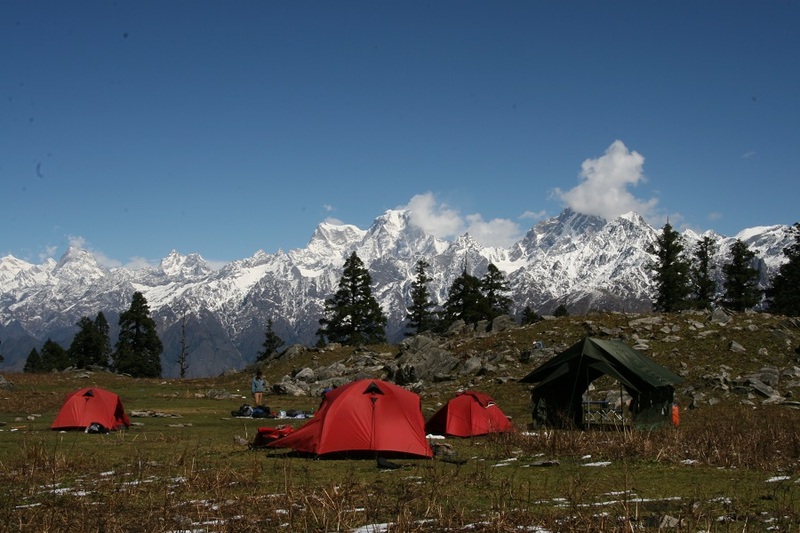 Nanda Devi National Park encloses the sanctuary and in 1988 was inscribed as a World Heritage site by UNESCO. We pass Haridwar or the ‘Gateway of God’ enroute to the trail head. Located on the banks of the Ganges at the point where the river descends from the hills to the North Indian plains, Haridwar attracts a large number of Hindu pilgrims from all over the world. We spend our last day in Rishikesh which is renowned as a centre for studying yoga and meditation. It is regarded as one of the holiest places to Hindus. 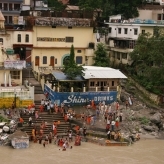 Hindu sages and saints have visited Rishikesh since ancient times to meditate in search of higher knowledge.